New series alert! To me, at least. 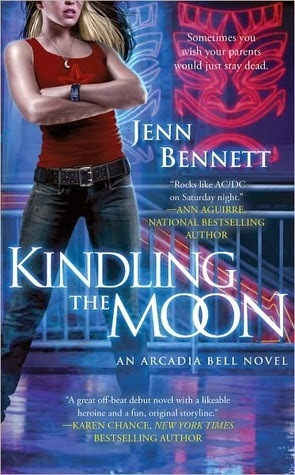 I'm over @ Dear Author today with my review of the first book in Jenn Bennett's Arcadia Bell urban fantasy series - Kindling the Moon. Sarah, this one goes out to you. Rest assured, I will be back for more. I'm still grinning to myself over certain scenes.